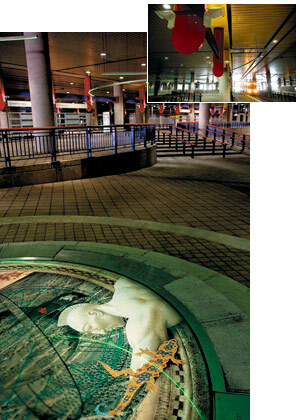 Distinctive colors, dramatic lighting and other elements help define this station, visually separating it from the rest of the large ground-level area of the convention center. 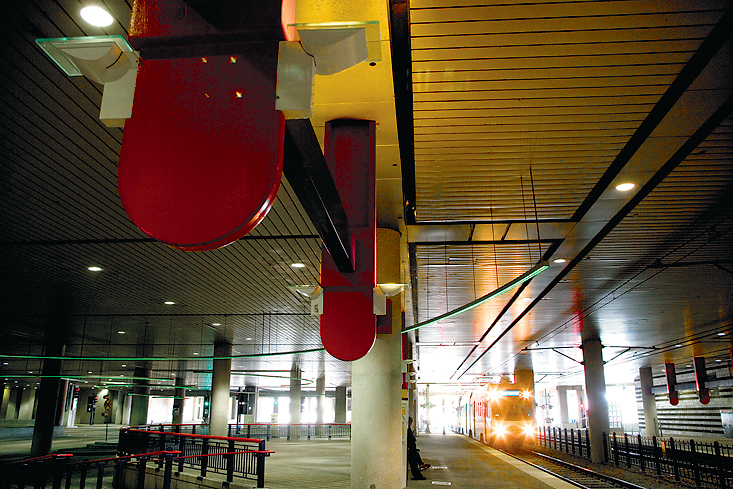 The station features warm colors in the architectural elements, accented by curving bands of concrete flooring, colorful landscaping and cool green neon lighting that moves in arcs across the ceiling. 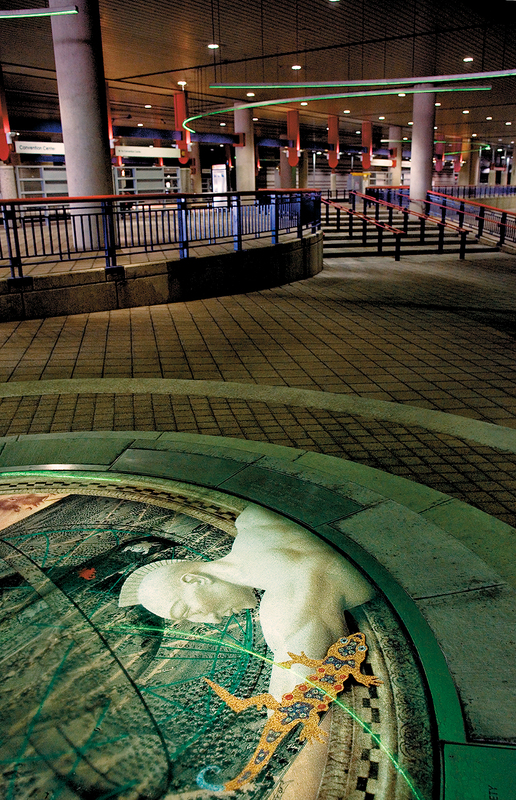 The lighting also focuses attention on Frances Merritt Thompson's photographic mural print, Full Circle, housed within a circular, illuminated "light well" that is 10 feet in diameter. 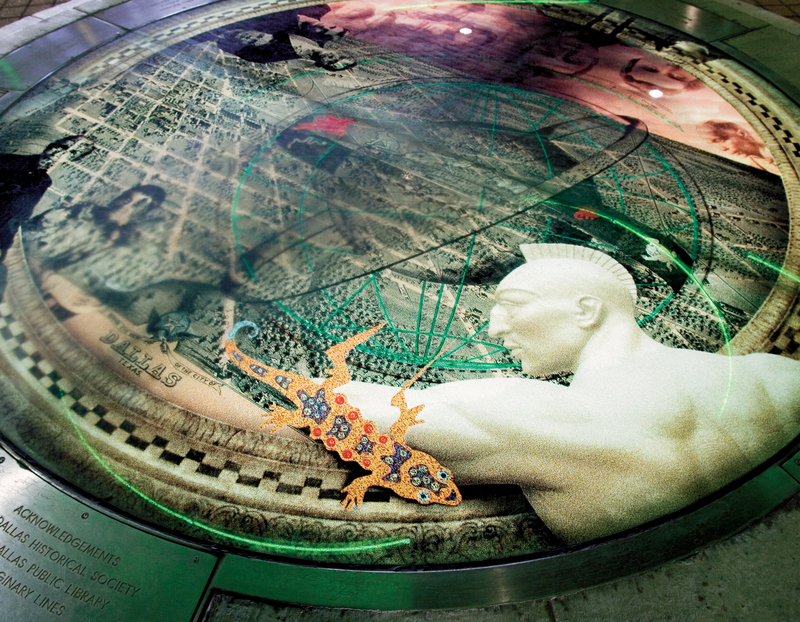 A collage of images includes an 1872 lithographic map of Dallas and symbols that reflect layers of local history – including a Tejas Indian warrior and Pegasus, the flying red horse that has become a symbol of Dallas. 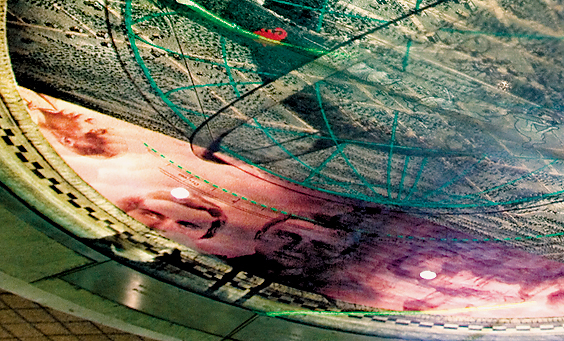 Together, the station design and art convey the spirit of Dallas to visitors and local riders alike.